Whenever you play on the fringes of extreme, the choices you make truly do impact success. Ever see what -25 degrees does to motor oil? How about fishing line? When I started ice fishing line choice was simple. You used mono on “jiggle sticks” and Dacron on tip-ups. 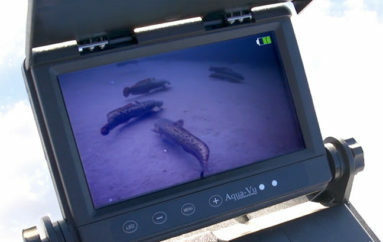 Pound test was determined by size of fish targeted—2- or 4-pound test for panfish, 8-pound for walleye, and 20 or so for pike. The biggest issue I struggled with back then was line memory. Cold, stiff mono went down the hole in coils so I’d load the line with enough split shot to get it straight, then select a float large enough to keep it all from sinking! Fortunately, numerous advances in fishing line have taken place since then and now you can find the right line for every ice fishing situation. So, what’s the best line for ice fishing? All of ‘em. I’m not kidding. 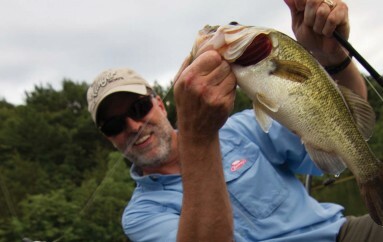 Depending on the application, I’ll use a monofilament, super line or fluorocarbon. 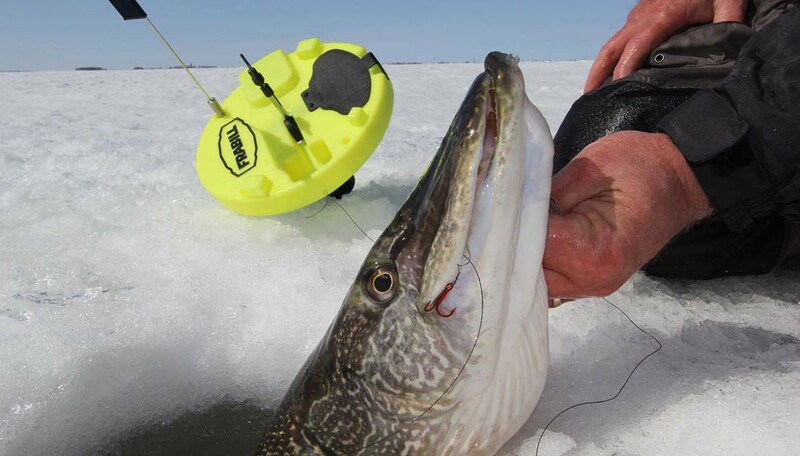 Choosing the right ice fishing line comes down to two questions: 1. What do you need the line to do? 2. How strong do you need it to be? The line you choose to jig lake trout in deep water is very different from the line you need for catching shallow-water ‘gills. There is no ONE best line for ice fishing. It’s very much application specific. Whatever line you choose, pay particular attention to line memory. Low memory increases sensitivity and more detected bites.